Rita is a feminine and sophisticated interpretation of the fun 50’s style very popular at the moment. 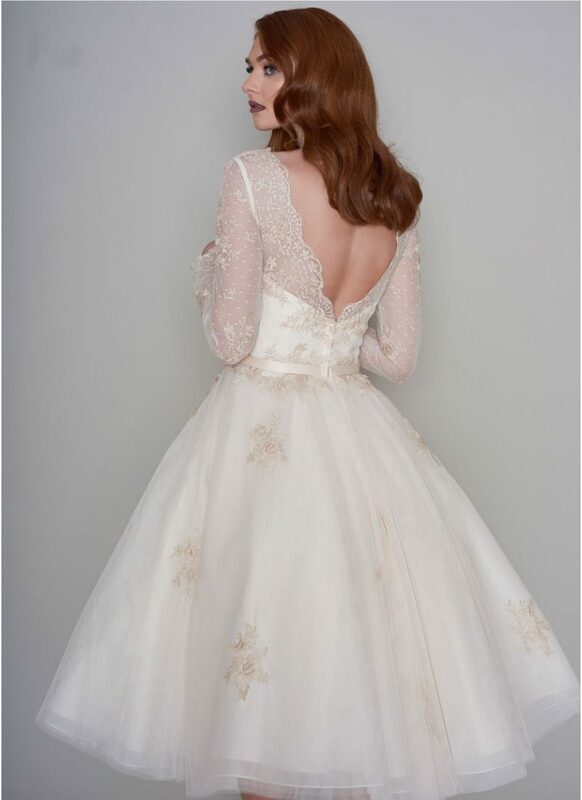 In luxurious gold and ivory lace it has long elegant sleeves and a deep ‘V’ neckline front and back. LouLou is a British designed award winning label. 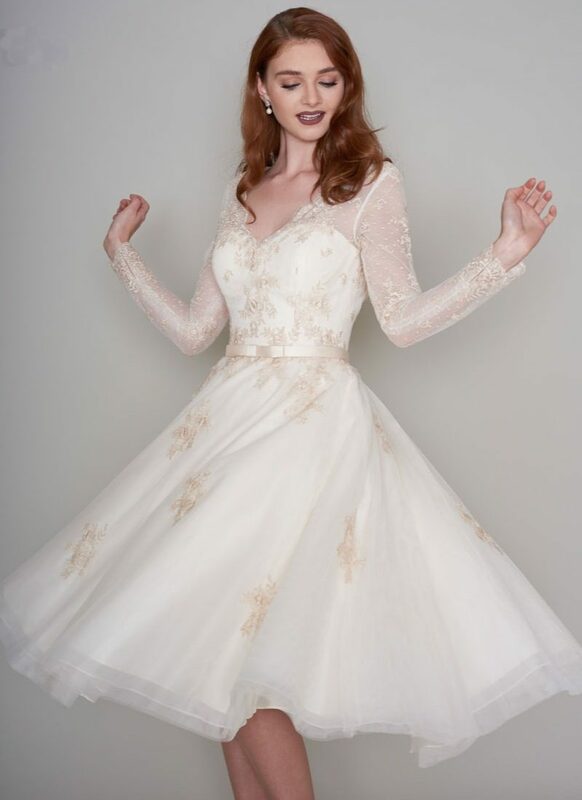 A vintage inspired collection of beautiful wedding dresses. The brand was launched in 1991 through the creative partnership of Christine Wilke and Jane Hancock. 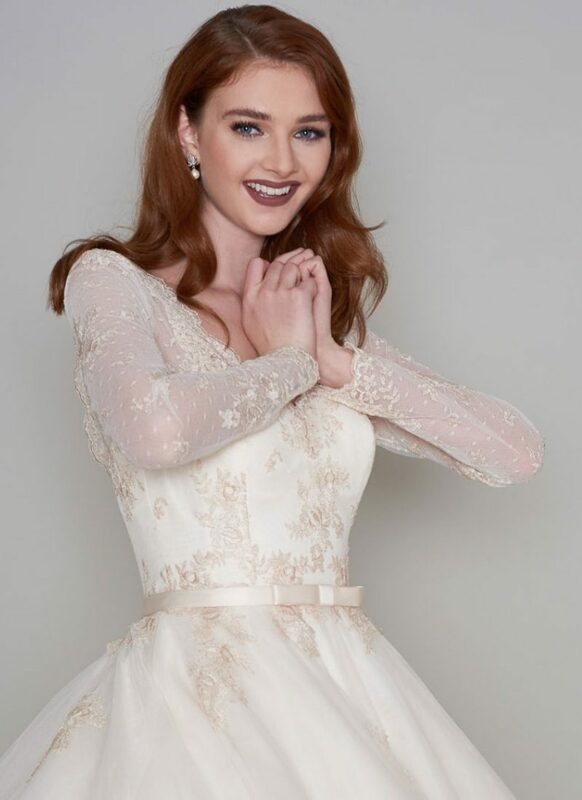 If you’ve dreamed of a vintage inspired wedding gown, then this is your go-to brand. From 1950’s inspired tea-length dresses to boho gowns inspired by the 1970’s, you will truly be spoilt for choice.